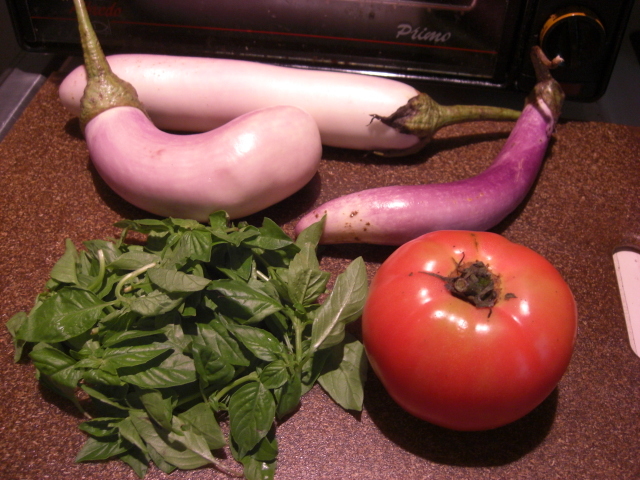 Tonight, I’m planning on broiling the eggplant, basil, goat cheese, and possibly the tomato somehow. Something like this, but broiled instead of grilled. The potatoes were a welcome surprise. 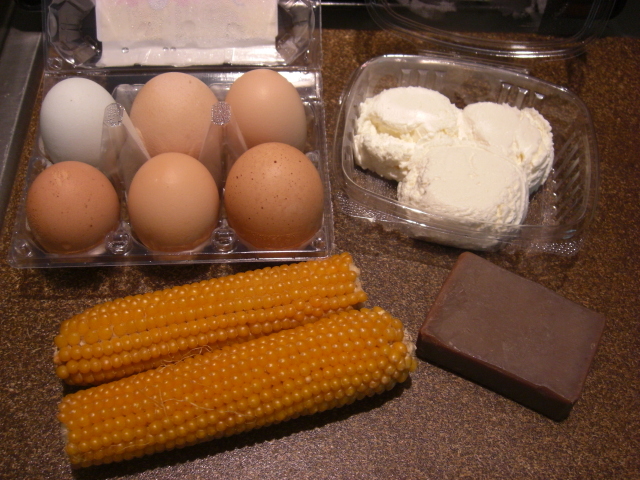 I’m thinking I’ll make these into mini loaded baked potatoes with sour cream, cheese, and maybe some salsa. I’ll either fry the okra or add it to some soup later this week. The last couple of weeks the okra has been smooth instead of ridged. One thing I read about smooth okra is that it freezes better. 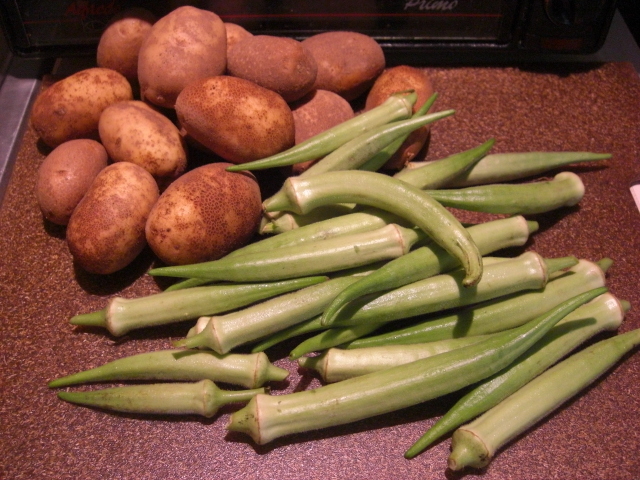 Here’s a page that describes how to freeze okra well. Hooray for apples! Not only are they delicious and handy snacks, but they also are harbingers of the fall that must come. 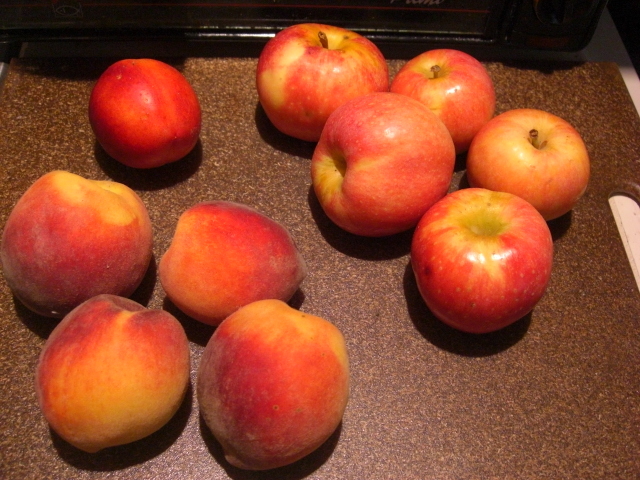 The mini-cobbler experiment was highly successful, so I’m thinking I’ll make more this week with these peaches and plums. I’ll post a recipe shortly. I highly recommend going the mini-cobbler or muffin route if you’re cooking for a household of 2-3 like me. We enjoy them so much more as pre-portioned bites than we do as a whole pan of something. 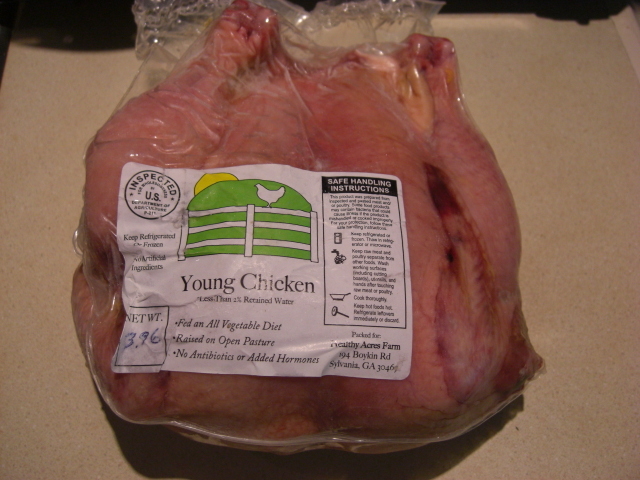 I also ordered a chicken from the online store. I’ll roast this chicken Friday for lunch. Then we’ll start the saga of getting the most out of a whole chicken. Chicken enchiladas, soup, etc. I also ordered two salsas and a jam. 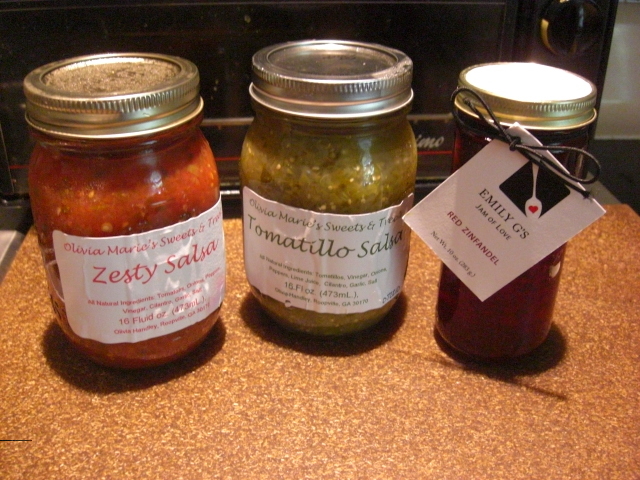 The tomatillo salsa is for making delicious chicken dishes. I love tomatillo sauce and beg for it instead of red sauce at our local Tex-Mex spot. The nice waiters don’t charge extra. The regular salsa is because my guys like salsa and chips. The Red Zinfandel jam is to try to recreate a delicious “butcher’s cut” burger I had at Flip with carmelized onions, bleu cheese, and red wine jam. The jam was amazing on the burger, and I can’t wait to try it at home.